New deal between Orange Telecom, Partner Communications to the tune of 90 million euro allows Israel an 'out' after boycott call. Orange Telecom could pay millions of shekels to its Israeli franchisee, Partner Communications, after a new agreement reached against the backdrop of the former's boycott remarks. In the agreement, both companies will evaluate use of the franchise in Israel under a detailed market study over a 12-month period; both companies will have the right to terminate the arrangement during that period. Orange will also pay 40 million euro (168 million shekel) to Partner from the signing of the agreement until the end of the study. Once the study ends - in the event Partner chooses not to terminate the relationship - the grace period for both companies to end the relationship will be furthered by another 12 months. And in the event either company ends the deal, Orange will pay Partner some 50 million euro (210 million shekel) as a severance package. “We are pleased to have reached a new agreement with Orange further to our 17-year relationship with the brand and to have established a new framework for our future relationship with Orange," Partner chairman Adam Chesnoff announced Tuesday. The agreement follows an explosive faux pas for the telecommunications giant, after CEO Stephane Richard made comments supporting a boycott of Israel. Speaking at a conference in Cairo, Richard said he wished he could dump" Israel "tomorrow" earlier this month. 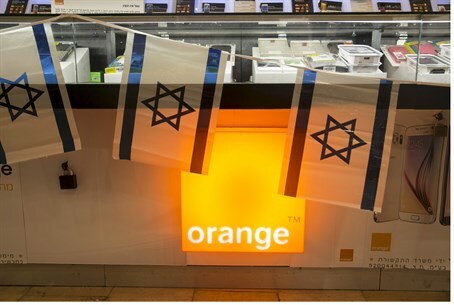 A day later the French company announced it has decided to halt its operations in Israel and end its partnership with the Israeli company Partner, which franchises Orange's name in Israel. The remarks surprised Partner officials, who noted that the two had signed a ten-year extension agreement recently; it also caused particularly fierce condemnations from Prime Minister Binyamin Netanyahu, who noted that the French government partially owns Orange. On a personal level, Richard has attempted to perform damage control, but has been met by an enormous backlash from politicians and the public - both due to his claiming he was "unaware" of the highly-public, world-renowned boycott movement against Israel, and due to an expose revealing Orange operates in numerous areas of dispute worldwide without protest. He later announced he would be launching a lawsuit after receiving hundreds of death threats for his boycott remarks.